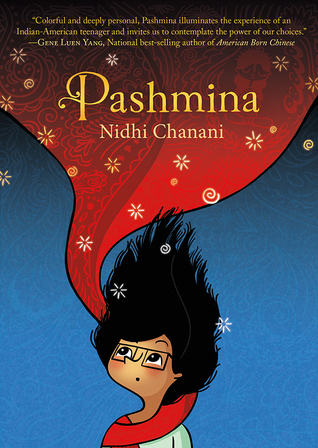 Pashmina by Nidhi Chanani is a unique graphic novel for older middle-grade readers and teens that combines fantasy and realistic fiction to explore a young girl's desire to know more about where she comes from. Priyanka is a typical teen girl in many ways: she is learning to drive, she works hard in school, she is bullied by mean girls, and she enjoys hanging out in her room and drawing. But Pri listens to a Bollywood mix while she draws, enjoys going out with her Uncle Jatin for samosas after school, and has a small shrine in her house to the goddess Shakti. Pri's mother and uncle were both born in India and moved to California many years ago. It bothers Pri that she knows so little about her mother's background, their family history in India, or even who her father is - all topics that her mother refuses to discuss. Her frustration turns to fascination, though, when Pri opens an old suitcase of her mother's to find a magic pashmina (a large scarf or shawl) - when she wraps it around her shoulders, she seems to be transported to India, where she looks around at the exotic surroundings. 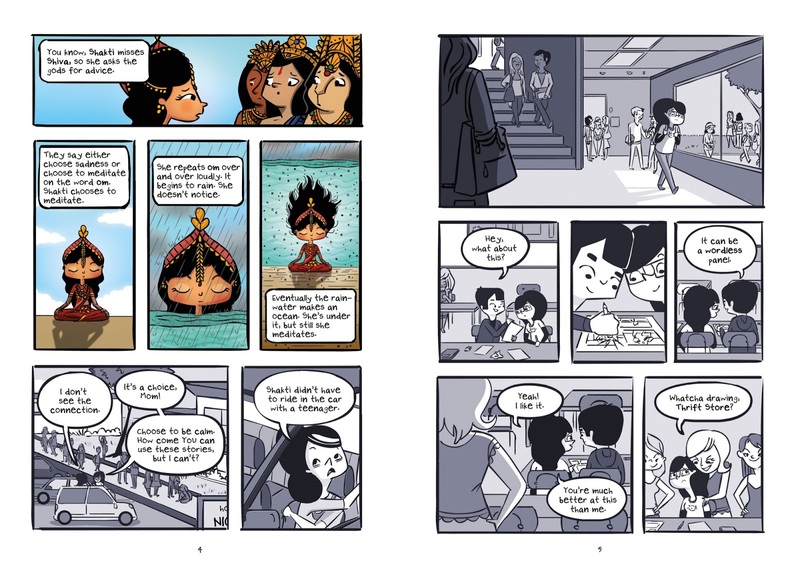 When Pri wins a cash award for her comics, she begs her mother to let her go to India in person and visit it for real. Pri goes on the trip and meets an aunt she never knew before and finally learns some answers about who she is and where she came from. This is a wonderful story about struggling with your identity and figuring out who you are. The illustrations, drawn by the author, are beautiful, with a Wizard of Oz-like switch from the black and white pictures of Pri's everyday life at home and in school to gorgeous, full-color pictures when she wears the magic pashmina. Her journey takes her across the world but also inside her own history, and she learns the secret of the pashmina and its history along the way. It's a warm, engaging story that is both exotic and completely relatable. Or order Pashmina through Book Depository, with free shipping worldwide. So many young people don't really know where they've come from that I think this book would resonate with them. Quite true, Helen! I think this would be a great addition for classrooms. It's Monday 12/18! What Are You Reading? Saturday Snapshot: Winter Is Coming! It's Monday 12/11! What Are You Reading? It's Monday 12/4! What Are You Reading?